This nursing profession research paper represents an analysis into this highly important but often overlooked segment of the health care industry in America. In many aspects, the nursing profession has been marginalized, particularly in comparison to the valorization of the more prestigious profession of physicians. This nursing profession research paper represents an analysis into this relative lack of visibility for this highly important but often overlooked segment of the health care industry in America. First, the nature and incidence of the portrayal of the nursing profession in the public discourse in America will be discussed, with an emphasis on comparing the portrayal and understanding of the nursing profession with that of physicians. Next, an analysis of this disparity will be undertaken, paired with a look at the factors that are most often identified as having precipitated it. 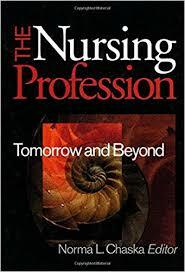 Then, methods that could potentially be utilized to maximize the visibility of the nursing profession will be discussed and evaluated, with suggestions made as to the most promising of these proposed ideas. Nurse Anesthetists - Nurse Anesthetists research papers are written about registered nurses in the role of an anesthesiologist. Nursing Clinical Skills - Nursing clinical skills research papers discuss the several critical skills that one needs to be an effective clinician. Chronic Care Model research papers discuss the organizational framework designed to improve the care for individuals with chronic conditions. Comprehensive Anesthesia Care - Discusses the comprehensive anesthesia care for postoperative nausea and vomiting on a female undergoing gynecological laparoscopic procedure/surgery. Delegation in Nursing - Research papers on delegation in nursing discuss the use of delegation to free up a nurse to handle more difficult cases or tasks, help in nurse education, or to save money for a hospital or doctor’s office. Dental Nurse - Research papers on a dental nurse discusses the special type of medical professional that provides assistance and performs certain tasks in dental practices. Diagnosis Risk for Infection - The concept of “risk for infection” within the nursing profession refers to the likelihood that an individual who has recently undergone some sort of medical treatment will contract some sort of infection, be it opportunistic or pathogen-based. Emergency Room Nurses - Research papers on emergency room nurses discuss the nurses on the frontline forces of hospital staff that are deployed to treat emergency room visitors. Forensic Nursing - Forensic Nursing research papers discuss how forensic nurses use forensic science to collect, investigate, and gather information about other cultures and also how they work to address issues of treatment and patient care after being victim of a serious crime. Geriatrics - Geriatrics research papers examine the branch of medicine that treats and focuses on the specific health needs of elderly individuals. History of Nursing Research Papers discuss the beginning of hospitals in the 4th Century and how modern nursing came about. Infection Prevention - A research paper on infection prevention discuss the negative impact of infection and the various ways of prevention. Job Market - Nursing Job Market research papers overview the nursing industry and discuss the opportunities in nursing. Josie King Story - A research paper on The Josie King Story discuss the series of errors that led to Josie’s death in Johns Hopkins Children's Center and how they could have been avoided. Male Nurses - Male Nurses Research Paper examines the issues, and discrimination that men encounter in this profession. Mental Health Nursing - A research paper on mental health nursing discuss how mental health nurses work to evaluate, diagnose, and provide treatment options to patients with mental illnesses. Minority Nurse - Minority patients often feel more comfortable interacting with a nurse of the same minority background, making the role of a minority nurse extremely important. Neonatal Nurse Practitioner - Neonatal Nurse Practitioner research papers discuss the specialized nurse practitioners duty to the care of newborn infants. Neonatal Nursing - Neonatal Nursing Research Papers examine a special branch of nursing that caters to newborn infants during the first twenty-eight days of life. Nurse Corps - Working as a member of the nursing corps, whether it is the United States army, navy, or air force, is one of the most prestigious positions for a woman wanting to serve her country. Nurse-to-Patient Ratio - Nurse-to-patient ratio legislation will create many changes for the nursing profession. Nursing Capstone - Research papers on nursing capstone discuss the final project and final requirement for a nursing degree. Nursing Leadership - Nursing Leadership Research Paper looks at an example of an order about nursing that needs to have the issue clearly stated, and the history on the subject matter. Nursing/Physician Shortage - Nursing/Physician Shortage Research Paper explores an order placed for a research paper on a significant contemporary issue in health care. Advanced Practice Nurse - Research papers on an advanced practice nurse discuss how this set of nursing that is needed for healthcare facilities to provide efficient care to patients. Nursing Program Article - Nursing Program Article Term Paper looks at a sample of an order placed for a critical analysis of an article. Nursing Shortage - Compelling evidence suggests that regions of the United States face a nursing shortage that our legislators, health officials, and medical professionals must address. Patient Safety in Nursing - Patient safety in nursing naturally stands out as a topic of great concern for nurses themselves as well as patients and their families. Nurse as Patient Advocate - Many claim that a primary nursing role is to be the patient’s advocate. Patient Advocacy - Explore research that reveals that Patient Advocacy has taken off as a concept since the introduction of HMOs, and now includes the entire spectrum of the health care field: doctors, nurses, administrators, patients, lawyers, employers, government, and insurance company executives. Patient Confidentiality - The importance of patient confidentiality should be reviewed in a nursing research paper that examines the ethics of advocacy. Physician Assistant - Research papers on the physician assistant discuss the role of the physician assistant which is to be able to diagnose and treat illnesses of patients due to their advanced education. Preeclamsia - As a nurse, it is important to remember that preeclampsia is not the same as PIH. Preoperative Anxiety - An interesting nursing topic is preoperative anxiety, from the perspective of the nursing professional about to assist in the operating room. Rural Nursing - Research papers on rural nursing discuss an area of the nursing profession when nurses provide healthcare services to traditionally low numbers of people who are very often spread out over large geographic distances. Sexual Assault and Nurse Competency - Research discussing the importance of nurse competency after a sexual assault has occurred. SOAP Notes - Research papers on SOAP Notes discuss a requirement for nursing students during their course work and training in patient assessment and treatment. Solutions to the Nursing Shortage - Short-term solutions to the pay discrepancies, while being addressed, are not the only area of focus. Telehealth and Nursing - Telehealth and nursing is a relatively new phenomena and includes important consequences for the nursing professional. VPN and Healthcare - The use of technology in healthcare is explored through the use of a virtual private network. Whooping Cough - Whooping Cough Research Paper delves into the rise of this disease and also the causes and symptoms as well as a history of it. Paper Masters writes custom research papers on the Nursing profession and Nurses.